Thanks Jhan, my library is on an external NAS and your solution worked perfectly. Its a shame that you have to do this but such is life. Thanks again. Most likely you have your iTunes library on an external drive. 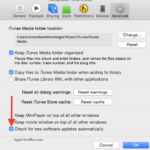 Copy the move out of iTunes to someplace like your desktop. 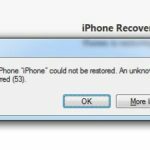 Delete the movie permanently out of your iTunes library, then drag the movie back in. Has worked every time for me. Suggested fix does not work. I cannot stream or download new episodes of videopodcast (Europe from its origins)although the first two episodes, few months ago, downloaded and are still playable. Quite annoying! Odd. I have two computers. Both are running iTunes in 64bit mode. Both have iTunes 11, and I am accessing the iTunes store to play a music video, the same music video. I assume the media version of the video in the iTunes store is the same file. So, I find it odd that the ‘old media’ works with one iTunes in 64 bit mode, but not another. There is no errors playing any other media. 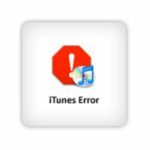 I only seem to have this issue in the iTunes store. Are they selling ‘old media’? What is ‘old media’?